HEY ALL YOU WONDERFUL, BOOKISH PEOPLE! 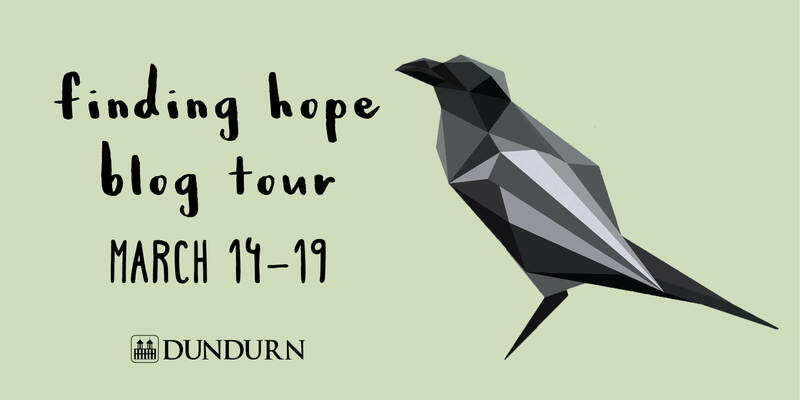 So, remember when I did a review of the amazing book Finding Hope about a week ago? Yes? No? Well, anyways, a few days after it went live I got an email asking if I’d like to participate in the blog tour to promote the book – so of course I said yes. So, now to the really, really fun stuff. As part of the blog tour, I get to do a guest post from the amazing Colleen Nelson herself! Say what? That’s right. My question was this: How do you find time to write and what advice would you give to aspiring writers? I mean, how could I not ask that? You all know by now it’s probably my favorite question. An aspiring writer can never have too much advice – trust me on that. I started writing ten and a half years ago. I took a class at the Manitoba Writers Guild. Each week the instructor gave us ‘homework’. One assignment was to write the first chapter of a YA novel. That first chapter eventually led into my first published book, ‘Tori by Design’. It wasn’t easy! I had two little boys and a husband who traveled a lot for work, but writing became my escape. At the end of a long day with toddlers, losing myself in my novel kept me sane. Fast forward 2016…I’ve been writing steadily since 2006 and have four books published, one more on the way and my fingers (and toes!) are crossed for another one that is in the hands of my agent. I’ve always got a project on the go, and enough ideas for books to keep me busy for a long time. I also teach full-time, but no matter how many other things I have on the go, I still find time to write. Most mornings I wake up at 5:30am to write. The house is quiet for at least an hour until my boys clamor for breakfast. There are lots of days when I would be happy to stay in bed, but I always think that the story won’t write itself. And I know that once the caffeine kicks in, the ideas will start flowing. People often tell me that they’d love to write a book or that they have a great story idea, but don’t know how to get started. The secret is: the only way to get started is to write. Then write. And then write some more. I’m not sure why people think it’s a big mystery. Even if you’re not good at it or you never get published, the point is to write! To express ideas and thoughts and enjoy the freedom of putting them on paper. Take a class or finding a writing partner to bounce ideas off of are also great ways to stay motivated. But, really, being a writer comes down to perseverance and determination. Any last words from moi? On Saturday, March 19th, don’t miss Colleen Nelson’s virtual launch for your chance to redeem bonus gifts and help support Pink Shirt Day by donating $1 from your purchase to the cause. Head to colleennelsonauthor.com for more details. Thank you for being part of the blog tour! What a great to end my launch week!